Previewing the action before groups kick off Oct 21. Season 2 of Counter-Strike: Global Offensive's ELEAGUE starts this Friday, October 21, as 16 of the best teams in the world (well, 15 of the best and, somehow, Alternate Attax) come together to fight over another $1m prize pool. The first season of ELEAGUE brought fantastic action every week and was one of the best-produced esports shows we've seen outside Riot's insanely lavish events, so S2 should be a pretty good way to watch young men throw smoke grenades over rooftops and then sit in the shadows cycling expensive skin animations. Virtus.pro claim the ELEAGUE S1 trophy. There's been a lot of change in the Counter-Strike scene in the three months since Virtus.pro won Season 1, perhaps most notably to the team they beat. Flusha, JW and KRiMZ departed Fnatic in August to form Swedish dream team GODSENT, who then promptly failed to qualify for ELEAGUE Season 2, losing to Alternate Attax in a nightmare qualifier. The GODSENT defections leave olofmeister and dennis to rebuild Fnatic with wenton, Lekr0 and twist. There have been numerous Counter-Strike events in those last few months, too. SK Gaming won the ESL One Cologne Major, while Immortals won Northern Arena and DreamHack Summer - SK Gaming were disqualified from ELEAGUE Season 1 over roster shenanigans and Immortals only acquired Tempo Storm's old roster at the start of June, so both will effectively make their bow here and could go far. Meanwhile, Natus Vincere brought in s1mple and won ESL One New York in a run that included s1mple's now-legendary 'AWP throw' takedown and saw them beat Virtus.pro in the final. VP nevertheless still look good, having won DreamHack Bucharest in addition to coming second in New York. All in all, it's shaping up to be another exciting season between now and early December. ELEAGUE plays out group by group between now and this time next month, then playoffs run from November 29 to December 3. The first-place team will win a cool $400,000. Here's a look at everyone's prospects group by group. Immortals look like the strongest team in this group, especially after their Northern Arena and DreamHack Summer wins, but local fans will be hoping that Cloud9, probably the best team in the region at the moment, can continue improving and challenge them. FaZe Clan could also do well, but they tend to be inconsistent, while mousesports always look dangerous when NiKo shows up. This is probably one of the easier groups to call, but we should still see some entertaining matches. 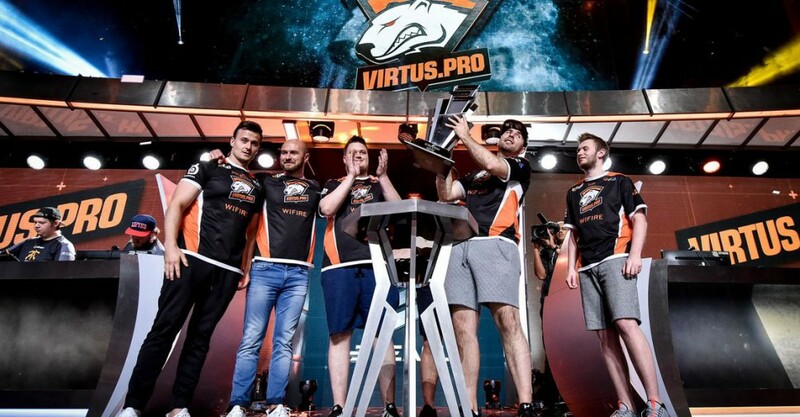 Virtus.pro won ELEAGUE Season 1 and were very active in the offseason - winning DreamHack Bucharest and placing second at ESL One New York - and still look like one of the best teams in the world, especially with NEO at the heart of the team. Ninjas in Pyjamas though, who reintroduced maikelele and then promptly won StarSeries in the offseason, could give them a run for their money. G2 Esports have shox and ScreaM, who know a thing or two about shooting dudes in the head, but are a bit too inconsistent, while Echo Fox weren't expected to make it to the tournament and will probably struggle. It's hard to look past SK Gaming in this group - they won the Cologne Major and probably would have gone far in ELEAGUE were it not for their disqualification. They are just a fantastic all-round team and falleN in particular is disgusting to watch. Natus Vincere won ESL One New York, though, with s1mple in rich form and GuardiaN also a bit handy. Astralis probably won't be able to handle either team, although they have their moments, and Alternate Attax should be wildly out of their depth. This could be a pretty even group, although it's unlikely we're looking at any eventual winners. Dignitas are an interesting team who seem to be coming online now and could be one to watch, while Team EnVyUs replaced the much-maligned DEVIL with Sixer in the offseason and OpTic made a big play by luring Tarik across from CLG and may need time to gel. Speaking of which, it's all eyes on Fnatic with their new line-up. They made the final in ELEAGUE Season 1 but then lost three fantastic players. Can the new line-up pull something out of the bag? It's pretty unlikely, but it would be a hell of a story. Where can I watch ELEAGUE Season 2? The best way to watch ELEAGUE is on TBS, but if you're not in their area then you can watch the matches on the ELEAGUE Twitch channel. Alternatively, the VODs will be all over YouTube and available on the ELEAGUE website.